← The Sports Archives – Sports and Injuries! The Sports Archives – A Brief History of Ice Hockey! The name hockey is most likely derived from the word hoquet, a word in Middle French used for describing a shepherd’s stave, which had a curved or hooked end. Throughout the ages, there have been many recordings of a game played with curved sticks used for hitting a ball-like object. 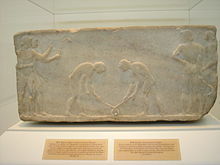 Dating back to the ancient Egyptians and Greeks, games similar to modern field hockey are depicted in sketches and carvings. 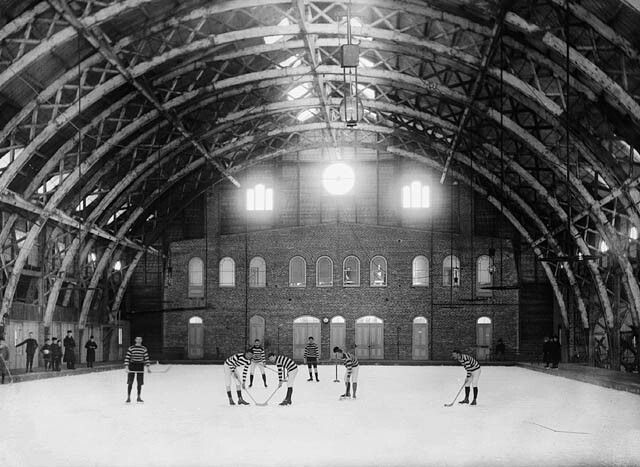 Montreal, Canada lays claim to the first organized indoor ice hockey game which was played at Victoria Skating Rink on March 3, 1875. Two teams of 8 players and a goalie skated for 60 minutes using a puck instead of ball so it would stay in the board-less rink and not hit the spectators (That must have been one heavy puck!). The word puck was derived from the Scots Gaelic puc or the Irish poc (to poke, punch or deliver a blow) according to the Austin Hockey Association. The hockey goals were 6 feet wide as they are today! The ice hockey team eventually was reduced to seven per side and was divided into thirty-minute halves. The positions were named: left and right wing, center, rover, point, cover point and goalkeeper. Early organized leagues were formed in the United States with the Western Pennsylvania Hockey League in 1902 and the International Professional Hockey League (IPHL) in 1904. 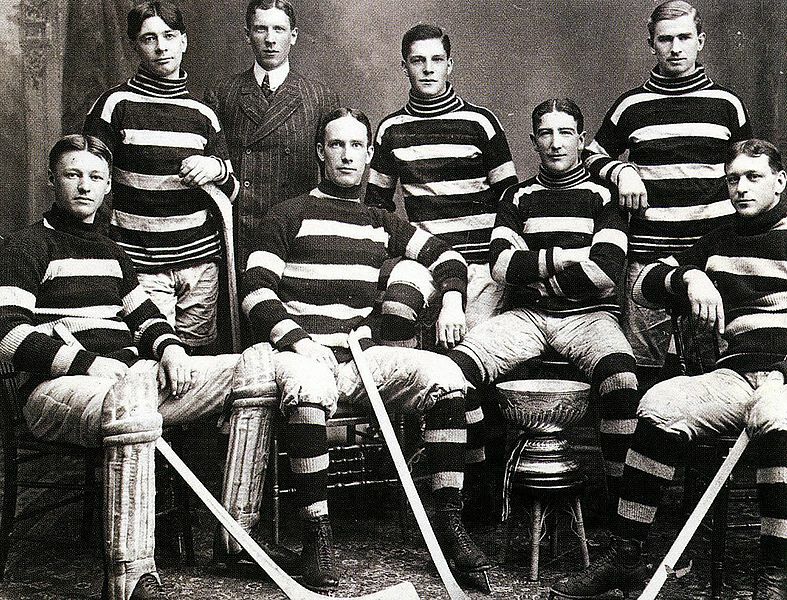 In Montreal, Canada, the National Hockey Association (NHA) was born in 1910 and went on to refine the rules, introducing minor and major penalties, dropping the rover position and dividing the game length into three 20-minute periods. The league re-organized in 1917 and introduced the Montreal Canadiens and the Toronto Maple Leafs into what we know today as the National Hockey League (NHL). If you want to know what’s happening in the NHL today read the latest NHL News. The NHL expanded into the U.S. in 1924 with the Boston Bruins and then in 1926 added the Chicago Black Hawks, the Detroit Red Wings and the New York Rangers. These six teams are dubbed the original six and the league stayed this way for over 40 years until the 1967-1968 season which saw the league double in size by adding the Los Angeles Kings, the Minnesota North Stars, the Philadelphia Flyers, the Pittsburgh Penguins, the California Seals and the St. Louis Blues. These six new US-based teams did not sit well for Canada, so in 1970, the league introduced the Vancouver Canucks and the border city Buffalo Sabres. Within the next 4 years, 4 more expansion teams were added, the New York Islanders (who went on to win 4 consecutive Stanley Cups), the Atlanta Flames, the Washington Capitals, and the Kansas City Scouts. In the 1980’s, the NHL merged with teams from the dissolving World Hockey Association and the rest as they say is history! This post is sponsored by canoe.ca. This entry was posted in Hockey and tagged Canada, early hockey positions, Egyptians, field hockey, first organized indoor hockey game, Greeks, hockey blogs, hoquet, ice hockey history, Iceland, IPH, IPHL, Montreal, Montreal Canadiens, NHA, NHL, Nova Scotia, original six, poc, puc, puck, shepherd stave, shinney, shinny, sports and leisure, Sports Archives, Sports Blogs, sports history, Victoria Skating Rink, Western Pennsylvania Hockey League, WHA. Bookmark the permalink. 1 Response to The Sports Archives – A Brief History of Ice Hockey!